Welcome to Crappie+ Fishing from Bassing Bob! 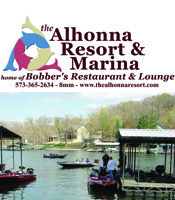 The only local resource dedicated to Crappie and other seasonal fishing. Sign up for a Crappie+ YEARLY subscription for only $25 now! This is an introductory offer. Already a BassingBob.com PRO member, or new to BassingBob.com and want access to everything? Bundle a PRO and a Crappie+ membership with an yearly PRO+ membershiip for only $60! That’s almost a 20% savings when bundled! 1. Click on the My Account tab at the top of the BassingBob.com website. Sign up, or keep reading if you are an existing member. 2. EXISTING MEMBERS: On the left side under My Membership you will see an option to Upgrade your membership! Choose your preference and continue. Easy as pie, but keep reading just in case. Q: When upgrading from a PRO membership to a PRO+ membership, why does it charge me $60 if I have already paid? A: IT DOESN’T! You are purchasing an annual subscription for Crappie+ and BassingBob PRO; however you will be pro-rated for the PRO membership to account for the year in which you have remaining on your existing plan. Just walk through the steps and you’ll see. Any questions – email info@bassingbob.com. We LOVE to chat with our members!